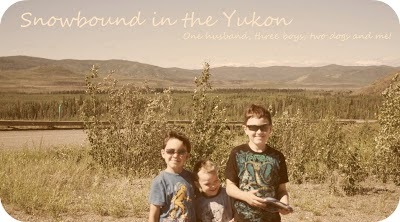 Snowbound in the Yukon: Reposting some old goals. This was a post from December 7, 2005. At the begining of my weightloss journey. I will in deed pick these up again. When I saw the fitness trainer and dietician they suggested setting goals and how to make them and put them down on paper so you can follow through. You have to look at your obstacles and find ways to achieve your goals over these obstacles. My goals right now are to do pilates at least 3 times a week, Mon, Wed, Fri. To walk at least five days a week on my coffee breaks at work. Lastly to find some other cardiovascular exercise on the weekends like going to my parents and using their treadmill or bike. I also plan to include at least 3 dairy/calcium products a day and 6 servings of fruits and veggies a day. I plan on at least losing 2 pounds a week and this is acceptable with my fitness trainer. My others goals are larger and harder to come by but I'll take a quick stab at it. To put at least 10% of every paycheque in my savings account. To find more time for myself to write. To spend more time with my husband. Anyone want to babysit? So that's it so far. I will probably add more as time goes by.